Itchy eyes are usually the outcome of allergic conjunctivitis or other forms of allergies. 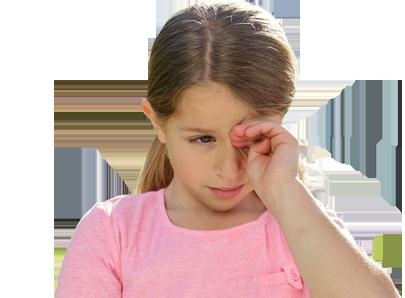 Allergic conjunctivitis usually affects adults more than it hurts children, but the problem may develop at any age. The condition can be chronic or acute, and depending on how severe it is, you may experience several other symptoms, including blurred vision and swollen eyelids. It is important to identify the causes of itchy eyes to learn how to stop itchy eyes from making living difficult for you. Here's what you need to know about the causes and several home remedies that may prove beneficial in your case. Allergens can be in the air in the form of pollen from trees, grasses, and weeds. An exposure to allergens will lead to an allergic reaction and cause itchy eyes. The reaction will make your body to release histamines that will cause red, itchy, watery eyes. You should not rub your eyes though because it will release more histamine and make your symptoms worse. A number of eye conditions will lead to itchy eyes. Dry eyes for instance will cause irritation and discomfort. Similarly, a non-contagious eye disorder called Blepharitis may also cause itchy eyes. If your eyelids become scaly, dry, and itchy, it means you're suffering from Blepharitis. Sometimes, they itching sensation is because your eyelashes have grown back abnormally, which happens in a condition called trichiasis. Pink eye can also cause your eyes to be itchy. You are more likely to have itchy eyes if you are allergic to contact lenses. You will notice discomfort, redness, inflammation, and itching. This allergic reaction is usually due to a preservative, Thimerosal, used in ophthalmic products. You can find some easy and effective home remedies for itchy eyes, but you should go see your doctor if the condition persists. The combination of water and salt can help fix your itchy eyes. Simply mix a teaspoon of salt in a cup of pure water. Now, boil it for some time to ensure that salt has dissolved completely. Let it cool off for some time and flush your eyes with the solution to find relief. You can make a compress by soaking a clean cloth in water. Wring it out properly before placing it on your closed eyelids. A cool water compress is usually the better choice, but you can opt for a warm compress if that feels better. Avoid placing the same cloth on your other eye if reaction is in your one eye only. You should not rub your eyes when you are already dealing with an allergic reaction. This is only going to make itching worse. Instead of rubbing, place a cool compress on your eyes. You may consider rinsing your eye out with some OTC eye drops. This will help wash out anything that's causing itching. You should avoid using tap water to rinse out your eyes because it may cause an infection. Over-the-counter artificial tears may also help. Use them 4 times a day, but don't stick to these OTC eye drops for more than a couple of days in a row. It is important to avoid getting in touch with allergens to ensure you don't have to deal with itchy eyes. By limiting your exposure to common allergens, you will reduce the chances of dealing with eye allergy symptoms. Be sure to stay inside when the pollen count is high. Take advantage of furnace filters to trap common allergens and keep the indoor air quality high. Wearing wraparound sunglasses it a great way to protect your eyes from ragweed, pollen, etc., during allergy season. The surface of your contact lenses is prone to attracting airborne allergens. It is therefore a better idea to wear eyeglasses instead of wearing contact lenses during allergy season. Switching to disposable contacts is another good way to avoid an allergy reaction. For a viral conjunctivitis or pink eye that causes a bloodshot eye, you cannot do much because the infection will run its course in 10 days or so. You should wash your hands frequently and don't touch the unaffected eye to avoid spreading the infection. For all other types of infections and eye conditions, you should go see your doctor if the condition doesn't improve after using home remedies. Practicing care is important, and is usually a better way to avoid an allergic reaction that leads to itchy, watery eyes. It is important to avoid allergens as much as possible, but that's not always easy. You may have to use oral antihistamines, eye drops, and decongestants to deal with allergies. Here are some tips to help avoid itchy eyes outdoors and indoors.